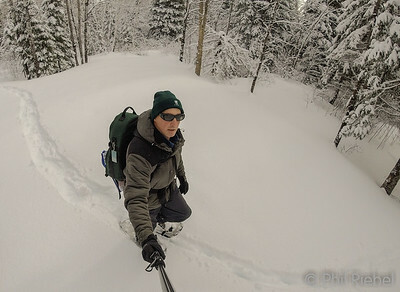 Phil is a nature photographer living in eastern Canada. He is passionate about the outdoors and fishing in inshore saltwater and the various rivers and streams of the east coast. He received his Bachelor's and Master's degrees in Marine Biology and Biological Oceanography from McGill University in Montreal. Over the past 35 years, his career has been focused on environmental sustainability, both as a consultant and with industry. His photographs have been used and published by several organizations to raise awareness about biodiversity, the environment and sustainable fishing practices. Phil owns 200 acres of forest land on Canada's east cost which he manages primarily for recreational opportunities.